What is it called when I pay the owner (seller) over many years like a mortgage? Monty’s Answer: Hello Mark, in most parts of the country, the arrangement you are describing is called a land contract. It is also called a contract for deed or installment contract. In this arrangement you strike an agreement with the owner (seller) of the property to pay for it over time with monthly payments. At the end of the term, when you have paid for the property, the owner titles the property to you with a deed. It is legal if it is done following procedures established by the law in your state. 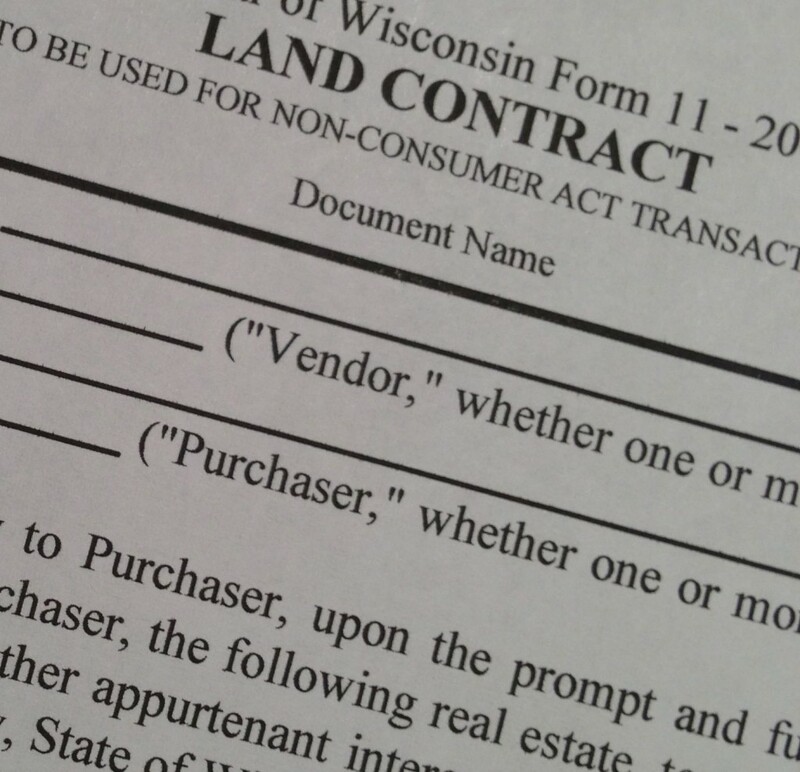 To check the law in your state, Google the following bracketed words: <your state>, <statutes>, <land contract>. For this to work in reality, there are a couple of small details of which you need be aware. Most owners of the property should require a down payment of perhaps 5-20% and require you to pay interest on the loan amount. That interest would be included in the amortization, like a bank mortgage loan. The Internal Revenue Service would input interest if there was no interest computed in the payment, so it is best to negotiate it on the front end. Your attorney can help with the paperwork. The down payment is another negotiation. If you are unsuccessful in finding or keeping the tenant and you have “no skin” in the game, what would keep you from walking away? As an example, if the property requires improvements perhaps some of the down payment could be sweat equity. That means the buyer does the work. If that were the case and I were the owner, I would want evidence the buyer had the skill required to do the necessary work. I would also require proof of funds from the buyer before they contracted with a contractor and a lien waiver from the contractor when the work was finished. The lien waiver is normally delivered in exchange for the final work payment. In the current market, the seller can earn considerably more interest on their money than if the buyer secured a conventional loan and paid them cash. Generally, interest on a loan such as this would be at a higher rate than conventional rates, as the owner has more risk and work than depositing the funds. You stated earlier “the owner is not actually lending any money”. The owner is lending you money. Their equity in the home formally becomes money the moment you agree to buy the property. The security for the loan is the property. The owner should check your credit and you should check with a title insurance company to make certain there are no liens, easements or other conditions present. Make certain to record the document as well. You may consider taking an additional step to protect yourself, and the seller. You do not say how the value was established, but an “arms length” appraisal obtained from someone not connected with the transaction provides an independent opinion of value. It makes a difference if the seller is a successful businessperson or an elderly widow. What if the home is actually worth $58,000 or $38,000? Either way one of the parties would be damaged. For an additional opinion, here is what the Ohio Legal Services office has to say about how to structure a land contract. Land contracts can be a smart resource for both buyer and seller in real estate transactions if they are completed with the proper due diligence and within the law. Mark, I hope you find this information helpful. Ask me if you have other questions. Good luck with your transaction.